The suspense is over. The Stay Puffed Marshmallow Man is here. The End Times have arrived. Yes, the Walking Dead are at the door. OK, that went on too long. Let me get right to the point, one of the many doomsday scenarios facing humanity has indeed arrived. Granted it may take a few more decades or centuries, but our doom is assured. WTF am I talking about? Antarctica of course. More specifically, the West Antarctic Ice Sheet (WAIS.) This is a giant slab of ice sitting on West Antarctica. About the same size as the western United States or Europe. That’s a lot of ice. And it is apparently now inexorably sliding into the sea. Yes, according to the latest scientific research, the collapse of the West Antarctic Ice Sheet has begun, and nothing can stop it. OK, so, more icebergs near Antarctica? What’s the problem. The problem of course is that while much of the WAIS is floating, much of it isn’t. And when the parts that aren’t floating slide into the sea, global sea levels rise. How much? Well, depends on how much of the ice sheet slides into the sea. In the image above, pretty much all you see is the WAIS. See the two glaciers, the Pine Island Glacier and the Thwaites Glacier? They are the problem. They have basically been acting as plugs in a dam, holding back the WAIS. Well, the ocean waters under them have been warming, and they have been retreating rapidly. And now they appear to have given way completely and it’s only a matter of time before the ice behind them slides into the sea. How long? Two centuries at most, maybe much much sooner. And just how much sea level rise are we talking about? Four to twelve feet (one to four meters in the civilized world.) Yes, on some levels that doesn’t sound like much. However, and it’s a big however, the vast majority of humanity lives near the sea. Even protecting the world’s great cities against that kind of sea level rise would be prohibitive. Entire island chains, and countless small towns and cities, will be partially or wholly inundated. Hundreds of millions of people will be refugees. And the environmental changes wrought by a sea level change that severe are unknown, but very likely to be catastrophic. The economic disruption caused by this is going to be global in scale, and unprecedented in effect. You’d think this would make the news. And it did, sort of. Since most humans don’t look much past next week, and many of the rest live in complete denial of science, only the occasional science geek like me got excited. Well, and I am sure smart military and counterintelligence people the world over are looking into it. And smart politicians. They do exist, despite what one sees in the USA. The science deniers will ignore or deny it though. The media will move on and continue to essentially ignore climate change or pretend that there is a debate when there is none. And the world will adapt to rapidly rising sea level change. The adaptations may include global depression and global war, but hey, anything is possible. Maybe a Gandhi/Einstein clone will come along and save us all. My point? I always have points. I’m back to blogging, point number one. I took a one year hiatus. I’ve learned many things. I’ve unlearned a few things. I’ve looked at different perspectives. I’ve come to new conclusions. I’ve come to refined conclusions. I’ve been an idiot. Personal growth, deal with it, or be an ant. I don’t make a very good ant, conformity makes me vomit. I tried to find an image of a vomiting ant to illustrate this point, but couldn’t find one. Please feel free gentle reader to visualize for yourself. Point two, I wonder when the Christian End Times people will catch on to the looming global flood. I mean, global flood, shouldn’t we be building arks? In conclusion, the future is known to no one. Humanity’s just started to look a little more bleak, but no one has a crystal ball. Still, I have plenty of observations and trenchant remarks to add to the mix. Times are a changing, and I might as well chronicle it as anyone else. Could scientists be wrong about the collapse of the WAIS? Certainly. When it comes to Antarctica our understanding is still very limited. Still, more effort is being made all the time to study it. 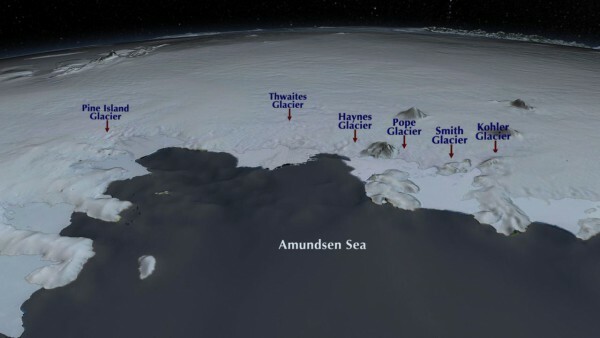 And so far the more we learn about Antarctica, the worst it looks. On the plus side some of my readers living in lowlands now have time to move. You will thank me later. Coming soon, further depressing posts. Suggestions welcome.